We must focus on sustainable results for children; especially aspects such as improved hygiene practices, using toilets and washing hands with soap. This is a complex issue in India where open defecation is a deeply rooted habit for many. Millions of Indians still defecate in the open. A practice that is linked to a host of conditions which hamper a child’s right to survive and thrive. Diarrhoea alone, for instance, kills 13 children under five in India every hour. Ultimately, this is a practice that is affecting the nation’s productivity and it’s GDP. The Prime Minister himself has taken on this challenge and set a goal to end open defecation by October 2019. By setting such an ambitious and essential target, the Swacch Bharat Mission (SBM) has been able to create a once-in-a-generation movement supported by the public and private sector as well as public budgets. The important role of civil society including traditional and religious leaders is crucial to creating awareness around this seemingly intractable problem. As a result, the strides this country has already made in creating open defecation free (ODF) villages is exemplary – to date, it stands at 39% of 6,30,000 villages. UNICEF and other development partners including Bill & Melinda Gates Foundation, the Tata Trusts, USAID, WaterAid, World Bank, the Tata Institute of Social Sciences and many others are playing a key role in supporting the SBM campaign in building a healthy and clean environment for India’s children. There is still a huge challenge before us. From UNICEF’s perspective, we need to focus on sustainable results for children; especially aspects such as improved hygiene practices, using toilets and washing hands with soap. This is a complex issue in India where open defecation is a deeply rooted habit for many. We must therefore focus on innovative ways of communicating with and convincing people to adopt the habit of using a toilet. This can achieved by fostering social movements and creating the aspiration for every household to own and use a toilet. Children have a key role to play as agents of change in establishing this new norm. UNICEF’s current commitment to focus on 15 states and 150 districts where the situation is most challenging, will be accelerated. We are also leading critical research work to generate evidence and inform both policies as well as practices. 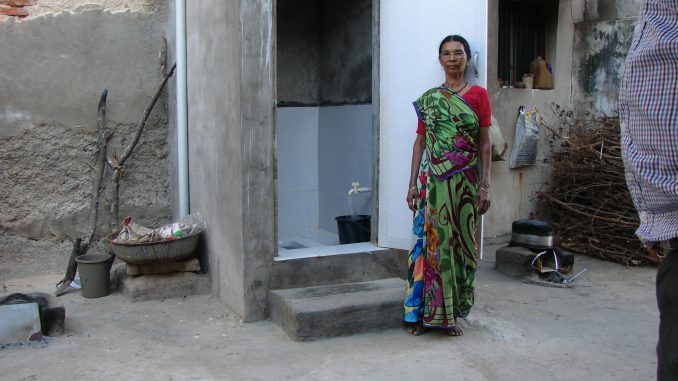 A UNICEF study recently conducted in India found that in a fully ODF environment, the economic benefits of sanitation per household outweigh the cumulative investment (government spends plus other modes of financing, including household contribution) by 4.3 times over a 10-year period. There is clearly an overwhelming case for investments in improving sanitation access, which has also recently been reiterated by the union minister of finance. Over the coming months, our focus will be primarily on the most marginalised households and their children, including tribal communities, Dalits as well as those living in urban slums, drought and flood affected areas – we believe this is an equitable and effective way forward. Working with the poorest quintile of the population helps the entire society to achieve the greatest return on investment and the most broad-based results in children’s well-being, learning and economic prospects. It also directly improves the dignity and safety of women which is an imperative for the socio-economic development of any country. UNICEF’s commitment to equity – giving a fair chance in life to every child, every girl and every boy, especially those most disadvantaged – is built on the evidence and conviction that it is right in principle and right in practice. I strongly believe that the Swachh Bharat Movement, rooted in equity, will contribute consistently to a vibrant and healthy India.